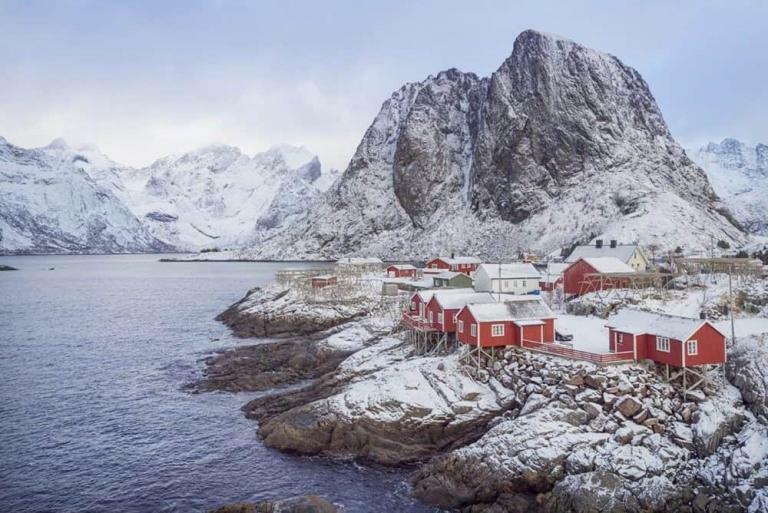 From the shores of the Mediterranean to the peaks of the alps, France is filled with photogenic natural wonders. When moving to France over two years ago, I had envisioned the atmospheric fresh food markets, the cute villages with colourful window shutters and surviving on a diet of croissants. Let’s just say I was a little blinded by the Hollywood version of living in France, the joie de vivre of all things French surrounding me. To my surprise there is all the movie magic and so much more to France, especially if you’re keen to explore it with your camera. Oh, and don’t worry, there’s still croissants…lots of them, this part is true. The landscapes, the lifestyle, hidden caves, labyrinth like city streets and even islands. Exploring France over a period of two years was like unraveling little chocolate wrappers one by one. Not that I’m someone who eats chocolate by the piece…everyone does blocks right? 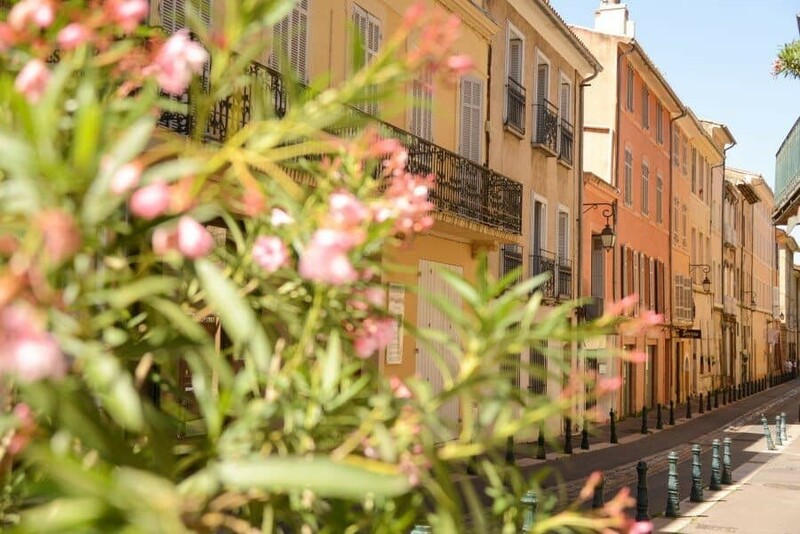 I was based in a little old apartment in the historic town centre of Aix en Provence, although I dreamt of staying in a luxury villa in southern France. When driving through the countryside in Provence you pass so many gorgeous villas, it’s hard not to dream a little! 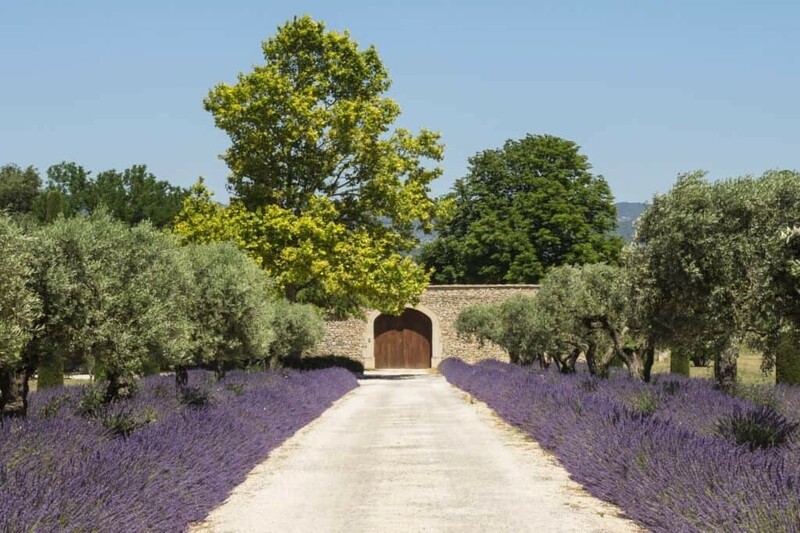 The good news is that you can rent a villa and treat it as your own as you venture around Provence experiencing the natural beauty and medieval villages. Okay, so let’s get started with a map of some beautiful places to photograph in Provence! Cruising down the tree lined routes of Provence is photo worthy enough, the villages you’ll pass though are breathtaking. 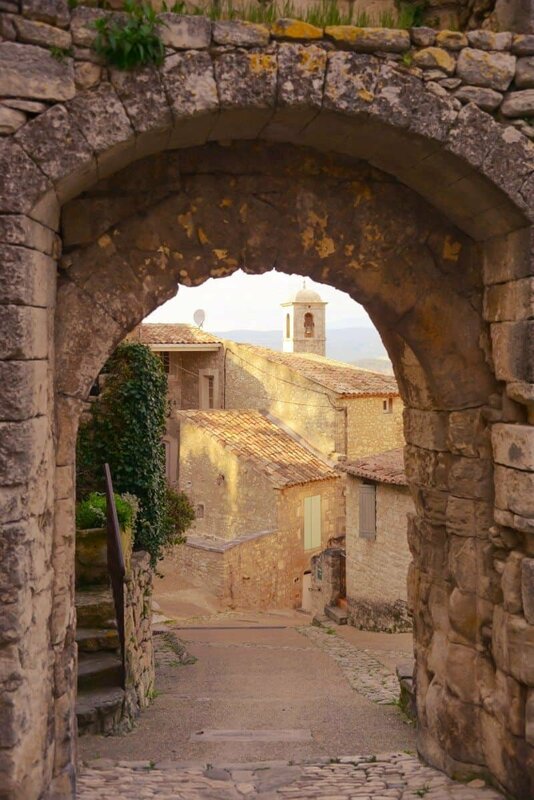 From Gordes to Lourmarin, Bonnieux to Lacoste, there’s so many to discover with each village offering a different perspective over the landscapes of Provence. You’ll find a lot of the villages are built on a hill or are surrounded by fields of lavender, olives or wheat meaning they’re ideal for landscape photography especially in the late afternoon. Roussillon in the Luberon is known for it’s rich red ochre quarry that visitors can now wander through and see the rainbow of earthy tones found in the hillside. The village itself follows the same colour palette so buildings are a beautiful blend of warm coloured facades and vibrant bold window shutters. 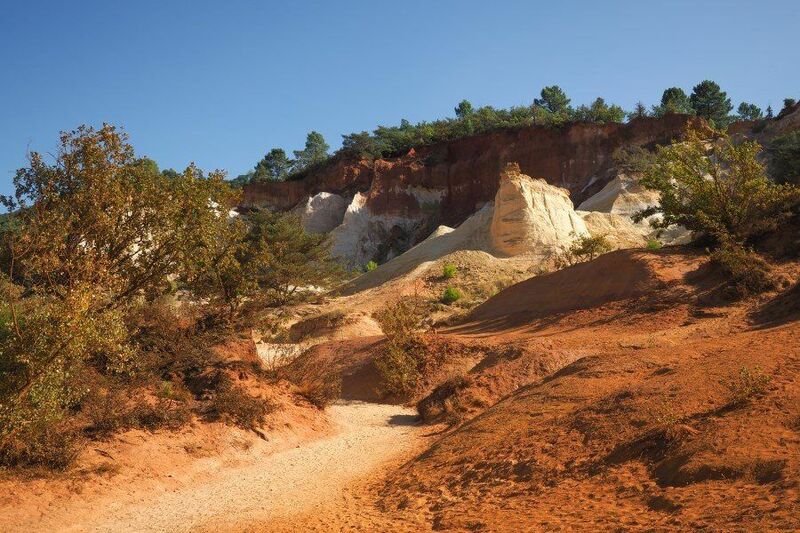 Nearby is the naturally stunning Le Colorado Provencale where you can wander through desert like landscapes as the soil changes from white to deep red. Hiring a car in Provence is a great way to explore the region and you’ll find lots of roadside stalls, especially in the summer months selling fresh fruit, lavender or even brocante (antiques). To read more about the photogenic villages, check out my guide to ‘Beautiful Villages to Photograph in Provence’. This is a special spot that initially I was going to keep to myself but of course, I can’t resist sharing it! While driving around aimlessly one day we drove towards the Foret des Cedres and saw a little map table facing towards Bonnieux. 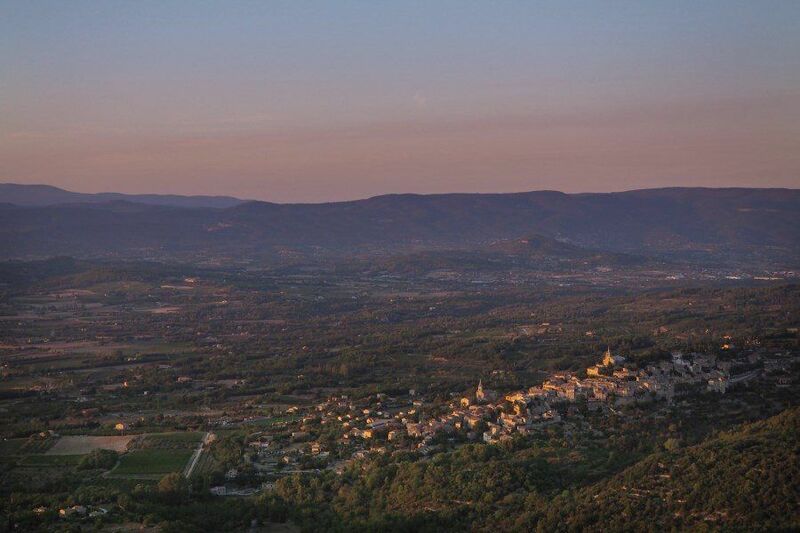 Stopping to have a picnic and watch as the sun set over the region, it provided such an impressive vantage point to see a lot of the Luberon villages including Lacoste, Bonnieux, Mont Ventoux in the distance and then across towards Apt. My favourite spot near the Foret des Cedres though is an old water tower that stands tall looking over the southern Luberon towards Aix en Provence and Marseille. 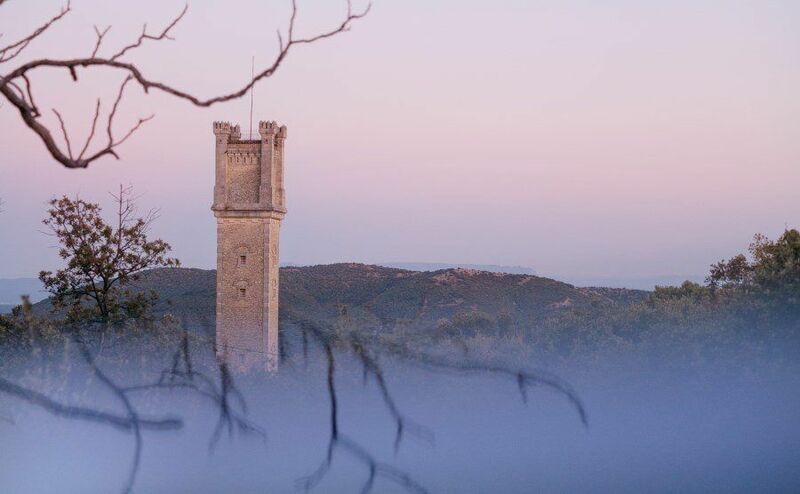 Located down a small hiking trail, the tower has a fairytale vibe about it and looks incredible in photographs especially as the sun sets and dusk cools down the sky. This would also make a great spot for sunrise! Now this island isn’t like your regular palm fringed, white sandy beach kind of place. It’s rocky, really rocky. In fact, it’s just one giant rock sitting in the Mediterranean Sea but it’s absolutely stunning in its own rocky little way. You may see the Iles du Frioul if you’re flying into Marseille Airport from the east, otherwise arriving by boat is probably the first glimpse you’ll get. 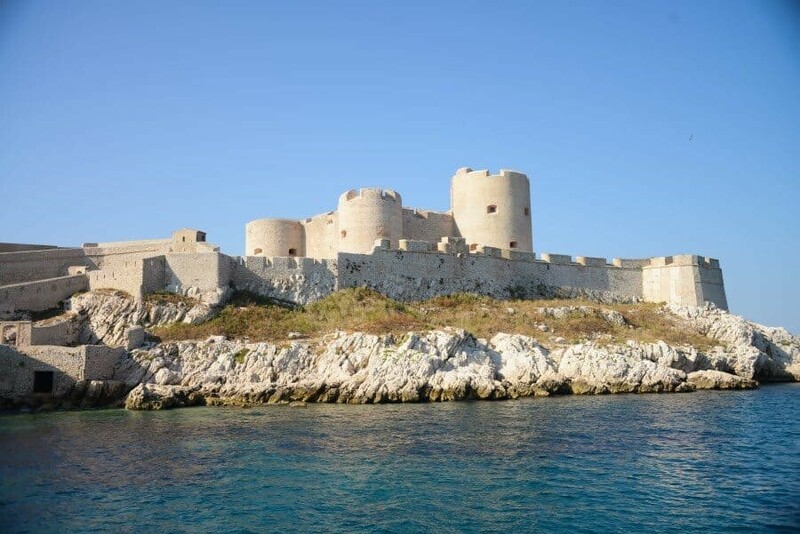 Forming part of the Frioul archipelago is the Chateau d’if, a fortress sitting on a small island called If right beside the Iles du Frioul. The fortress is a worth stop for photos on your way to the island and is famous for being the setting of The Count of Monte Cristo. On the Iles du Frioul you’ll find so many swimming spots it’s hard to choose where to put your towel. 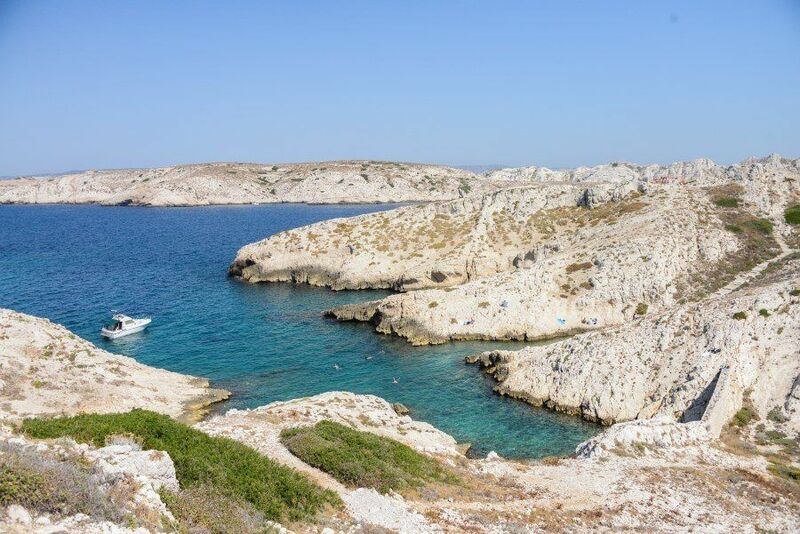 Take a wander toward the eastern end for a swim at the cove of Pomègues Island or there’s a number of rocky coves near Pointe de la Crine. 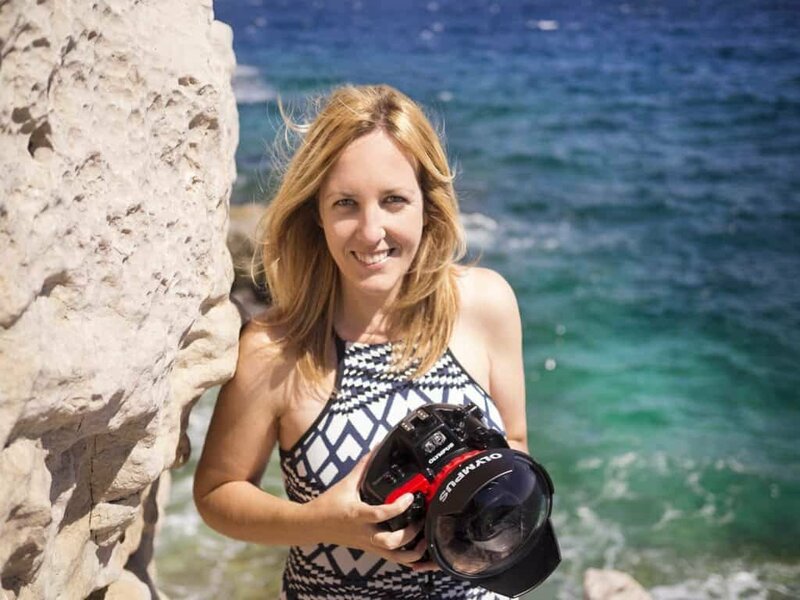 Because it’s all rock based the water clarity is ideal for underwater photography so be sure to take your waterproof camera! 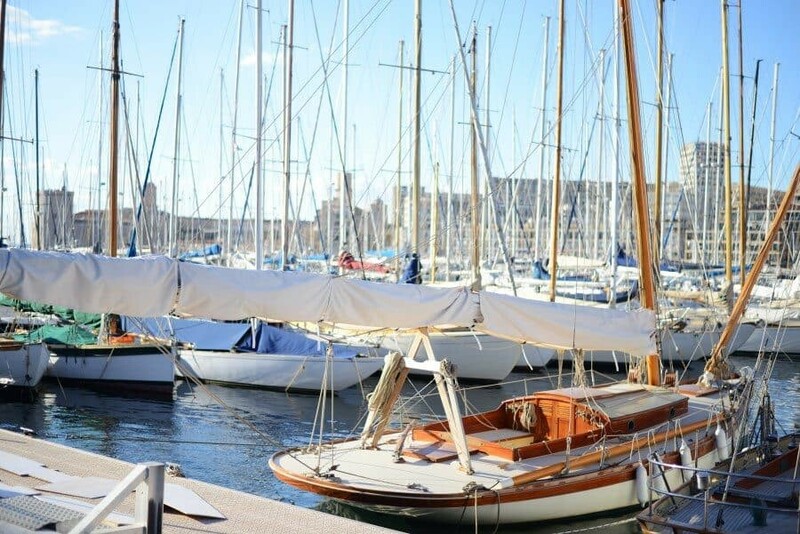 Boats run daily from Marseille Port to Frioul. In the summer they operate almost hourly but it’s best to arrive VERY early because there will no doubt be a huge queue. Or, get your tickets in advance so you don’t have to line up in the heat. 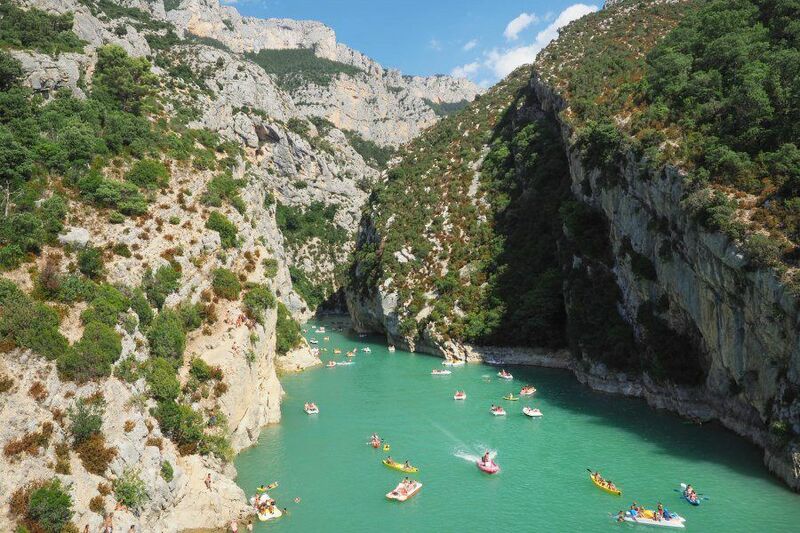 Few places in Provence have scenery as dramatic as the Gorge du Verdon. With cliffs rising up to 200m from the Verdon river it’s a popular spot for photographers to capture the landscape looking down into the gorge and also from the water level. Kayaking in Gorge du Verdon is a great way to capture the intimidating cliffs from below. There’s a few places you can pull your kayak to the side, jump out and use your camera. 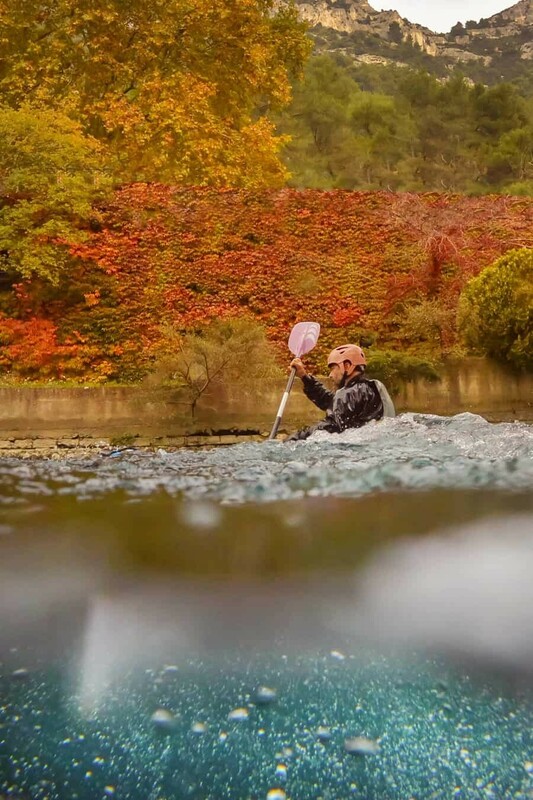 Otherwise, if you’ve got a waterproof camera it’s well worth trying to capture some unique angles whether it’s split-level shots above and below or some as you’re paddling to give it perspective. To photograph the Gorge du Verdon from above, take the smaller and very windy Route de Castellane (D952) which passes along the top of the gorge. Be aware that there’s only a few places to stop your car and in peak season these are very hard to get access to. You may have to find a spot (more than likely close to the edge of the cliff so park well!) and walk back to somewhere with a great vantage point. Every June and July as the lavender fields fill with buzzing bees and a purple landscape you’ll find photographers snapping happily all-day long. See here for a more detailed guide on when + where to visit for lavender. Finding a field that’s away from the crowds yet still offers a beautiful scene is relatively easy if you’ve got your own car. The fields tend to differ in growth each year so it’s worth taking a drive around the Valensole area towards Lac de Saint Croix and then north towards Puimoisson and Moustiers Saint Marie to see what little gems you can find. For an extensive guide, check out my guide to the Lavender Fields of Valensole where I’ve compiled some photogenic locations and a map to follow if you’re lucky enough to find yourself in the region in summer. As you drive through the countryside of Provence there’s numerous villas with sprawling gardens, gorgeous stone structures and quaint window shutters. Some are visible, others a little more private and exclusive, completely hidden from view. 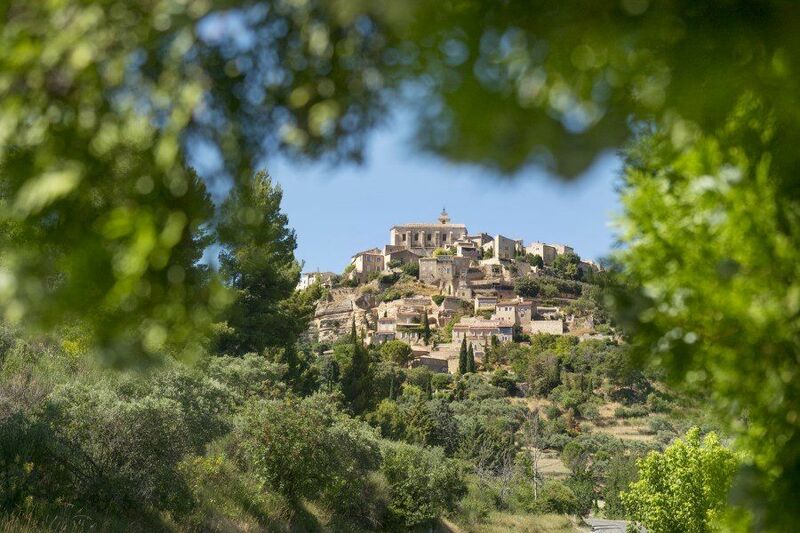 Staying in a villa instead of a hotel will allow you to photograph Provence from an alternate perspective. Rather than returning to town, you’ll be able to wake to the sunshine and capture the surrounding scenes in various light conditions. Depending on your budget and of course location, villas in Provence are so photogenic it can be worth even just hanging out for a few days and photographing the building, it’s historic details and nearby local markets and villages. 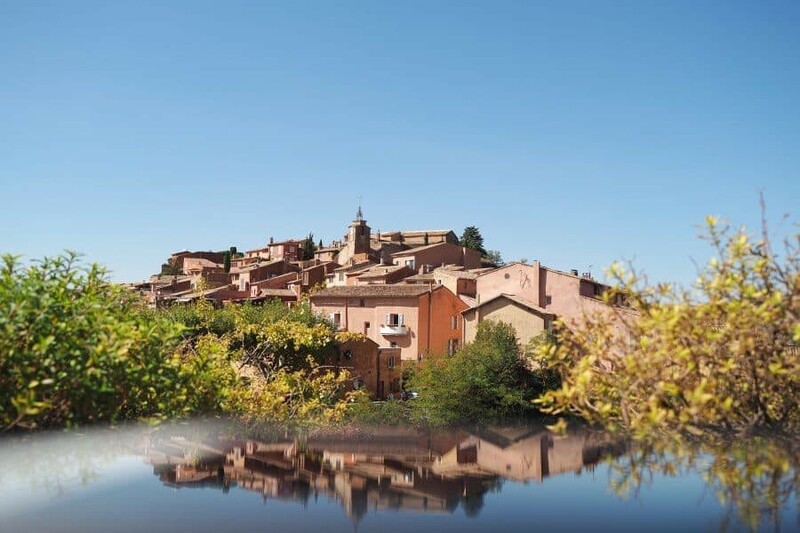 Popular areas for rentals include St Remy, Avignon, Aix en Provence and you’ll also find them scattered all throughout the region so just check how close they are to villages for accessibility to supermarkets, restaurants etc. This inclusion is more of a personal challenge than a must-do activity but if you’re into hiking and climbing, this is the spot for you. 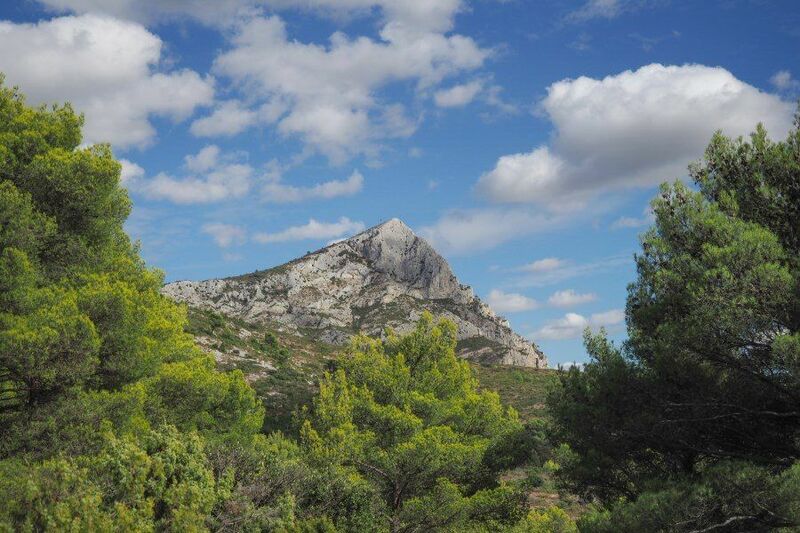 Montagne Sainte-Victoire looms over Aix en Provence and was a prominent landscape featured in the artistic work of Cezanne. 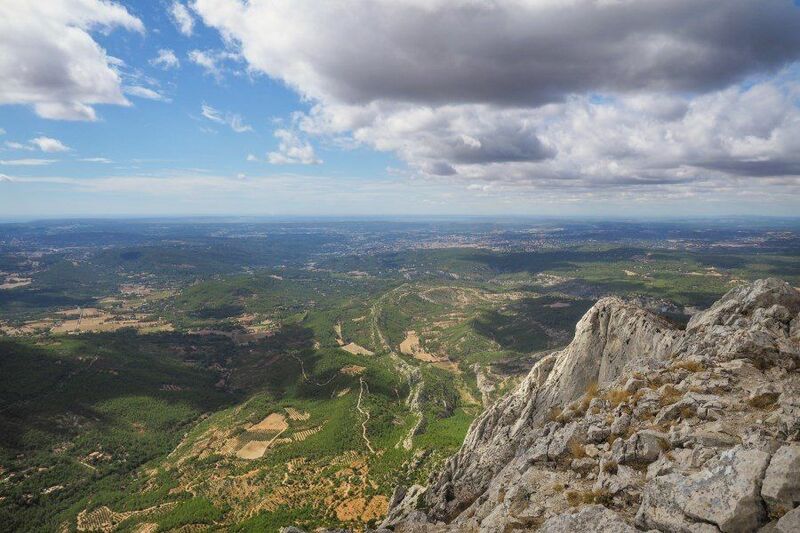 Its rocky limestone cliff face can be seen from Aix, especially when looking down Avenue Sainte-Victoire (my old street) and is a popular place for locals to get some exercise on weekends. Starting from the Barrage de Bimont (which is photogenic in its own right!) offers great views looking towards the hike ahead of you. Now be warned, it’s a tough hike. Like really tough. At least it was for me anyway! The rocks are slippery so be sure to have good hiking shoes and on a hot day it’s almost unbearably warm. A great time to climb is during the cooler months and try to avoid weekends when the track will be a lot more crowded. Also, decide which lens you want to carry to the top so you don’t have to lug your entire camera bag up. The peak is a great place to capture the surrounding scenery but I wouldn’t both too much with a zoom lens, the more impressive things to capture are the cliff and rock formations on the top followed by wide landscape shots of the scenery. As one of my favourite places to visit in Provence, Fontaine de Vaucluse is a beautiful village that’s paired with an equally special natural feature. Rising up from beneath the surrounding mountains with cliffs over 200m in height, the natural spring is amongst one of the most powerful in the world, and by far the most powerful in France. 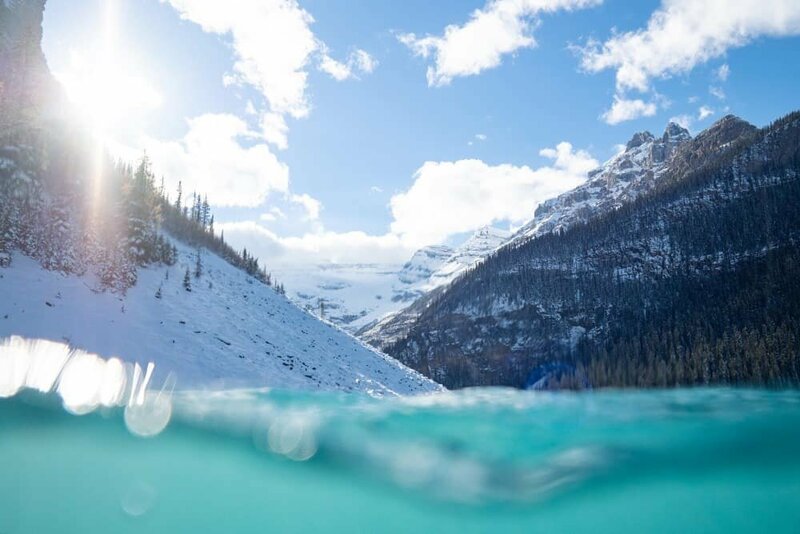 It rises and falls at a dramatic depth as the seasons progress throughout the year, so you might arrive and it’s a pool of emerald green water at the bottom of the cave, or it can be gushing rapids rolling over mossy rocks. 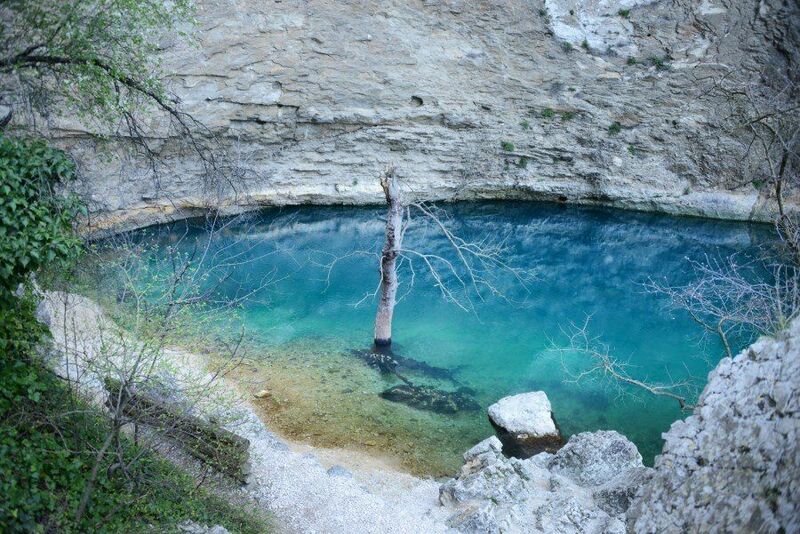 Autumn is my favourite time to visit Fontaine de Vaucluse as the trees are so vibrant and blend perfectly with the colourful clear water flowing down along the River Sorgue from the spring after winter. I’ve written about this before here ‘Hiking to Calanque d’En Vau’, but wanted to mention it again because it really is one of the most photogenic things you can do in Provence. The view from the top of the calanque looking down into the piercing blue water is truly magnificent. 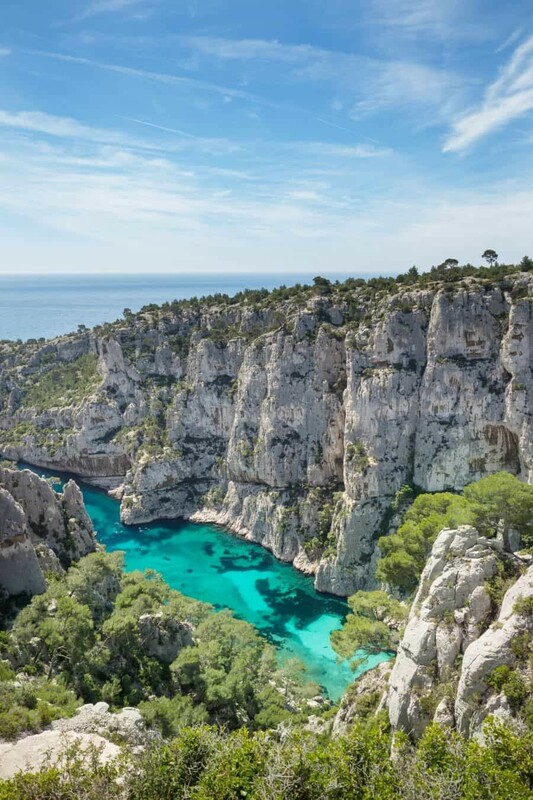 You can hike to the calanque and then venture down into it for a swim, or alternatively you can paddle a kayak from Cassis for a different perspective. 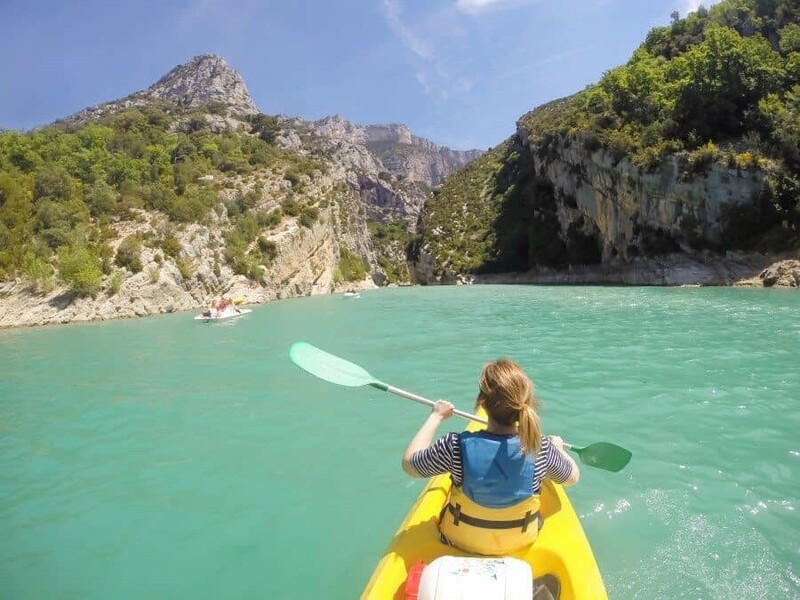 Kayaking enables you to venture in from the sea as the cliffs of the calanque rise above you. It’s a great way to see the coastline from Cassis too and once you arrive, there’s plenty of space to pull up your kayak and jump in for a swim in the super clear water. The beautiful town of Aix en Provence was my home for two years and one thing I made sure I did every single week was to wander into the markets. 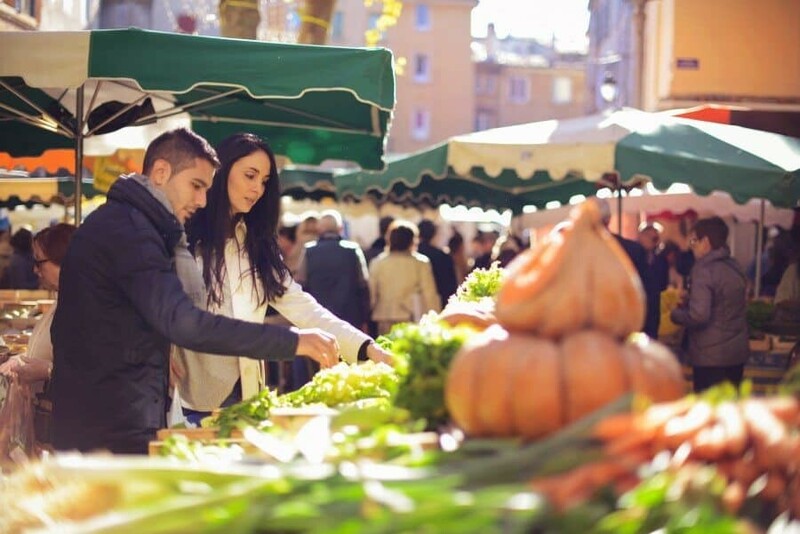 Held every Tuesday, Thursday and Saturday, the markets are found in the Place Richelme, along the historic Cours Mirabeau or there’s the bloomingly beautiful flower markets in front of the Hotel de Ville. Taking the time to wander around Aix is something I always recommend to visitors and especially those keen to photograph some street scenes. There’s so many photogenic alleys throughout the Centre Ville of Aix, places like Rou Loubon, Rue Cardinale, Rue des Epineaux and Pavillon de Vendome are worth checking out. 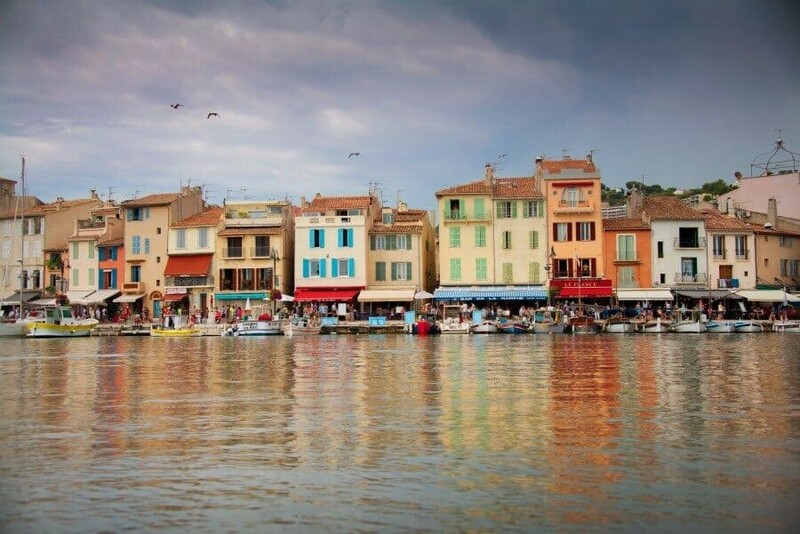 Few harbours are as picture perfect as Cassis. The waterfront of Cassis is lined with colourful buildings, almost appearing like a man-made rainbow as the Mediterranean sun bounces off the vibrant window shutters. It actually happens to be my favourite town on the Mediterranean Coast. I’m just so drawn to it’s atmosphere, coastline and there’s also a pretty decent castle that rests on the ridge above the port. Cassis is a great place to photograph the seaside scenes of boats coming and going from day trips, pebbled beaches filled with sun seekers and of course those buildings beg to be captured. A great spot to photograph them is from the slipway just behind the Office de Tourisme. Appearing like a bald head amongst the forests of the Luberon, Mont Ventoux is most known for it’s inclusion in the Tour de France. 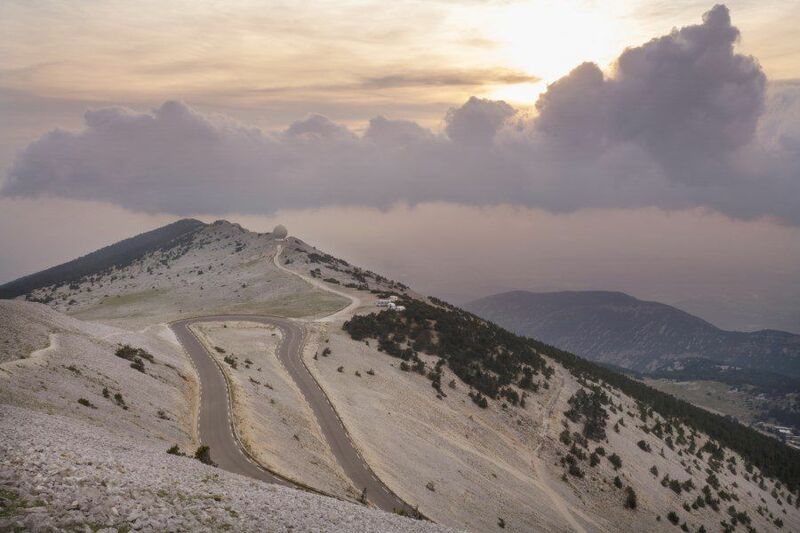 Standing at just 1,912m in height, Mont Ventoux is one of the toughest climbs that cyclists tackle each year, it’s also though, jaw-droppingly beautiful. 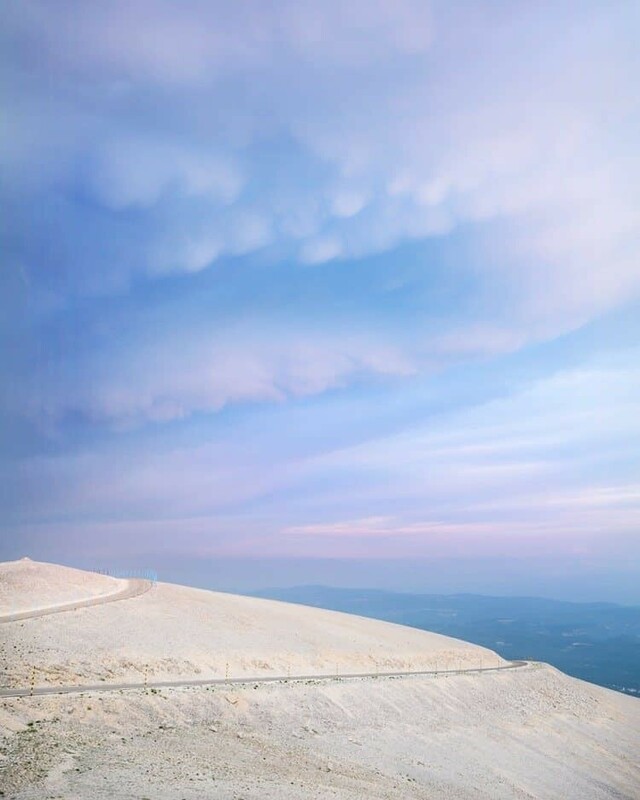 For photographers, Mont Ventoux is a great place to photograph the sunset in Provence. It’s barren peak blends beautifully with the warm evening light and the winding roads offer a fabulous subject. It can be 30 degrees at the base but you’ll still need a jacket on top and in winter there can be snow on top, only adding to the photography opportunities. 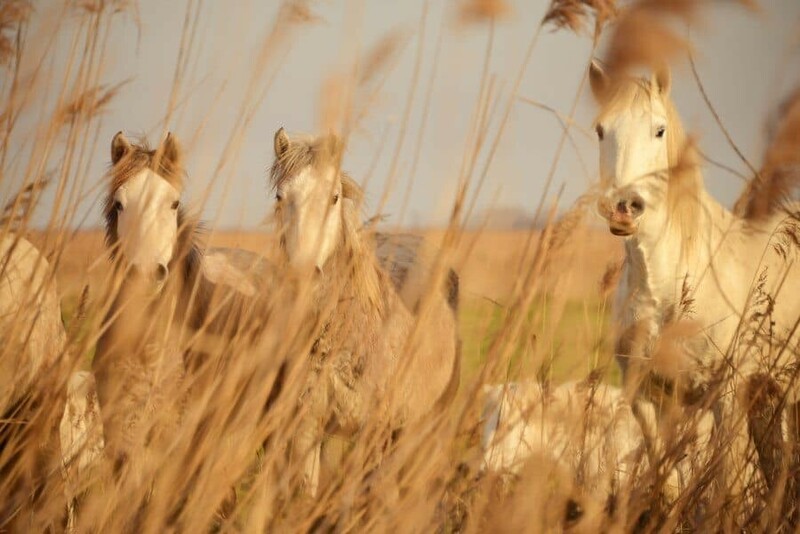 The Camargue is where the cowboys of France call home. It’s where the mighty Rhone meets the Mediterranean, forming Europe’s largest river delta and a landscape of reedy wetlands and low-lying coastline. 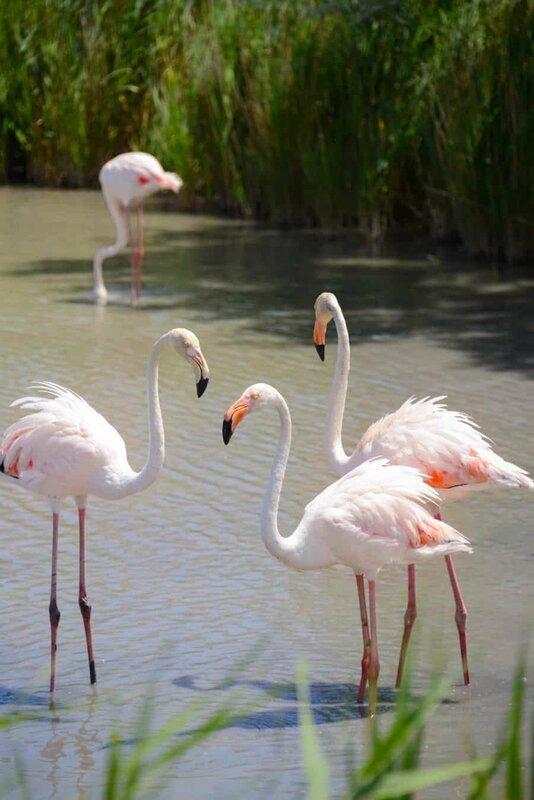 From April to September you can witness flocks of Flamingos in the shallow wetlands and year-round the majestic white horses of the Camargue are prancing around paddocks. Stay at Saintes-Maries-de-la-Mer for easy access to photograph the scenery at sunrise and sunset. If you can’t find any flamingos, head over to the Parc Ornithologique de Pont de Gau where there will no doubt be plenty to photograph in the breeding season. 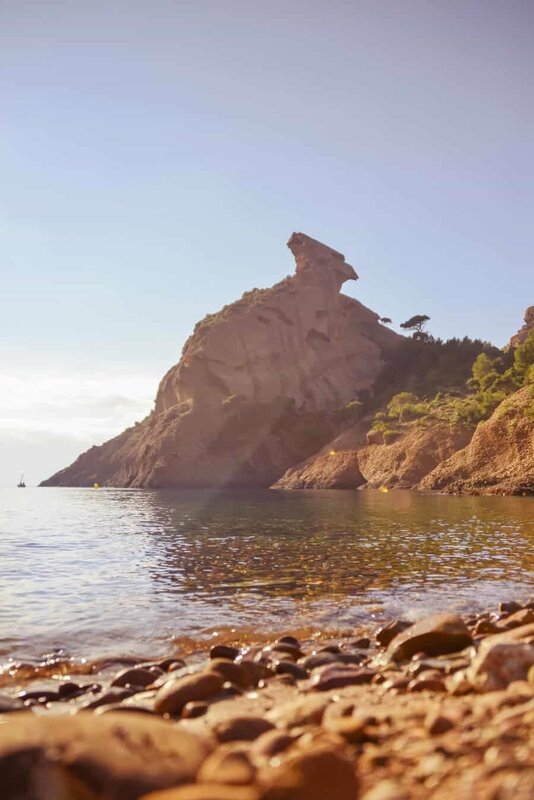 Calanque des Figuerolles is located just near La Ciotat and is a beautiful cove with photogenic rock formations, clear water and rocky shores. You’ll also find a lot of rock climbers up on the cliffs above which makes for great subjects to photography. In summer you’ll find locals sunning themselves here, some with the proper foil reflectors as they sport impressive Mediterranean tans. There’s a great little café too and compared to some of the other calanques it’s relatively uncrowded…if you arrive early enough. Marseille is France’s second largest city after Paris and it offers a host of photogenic locations. 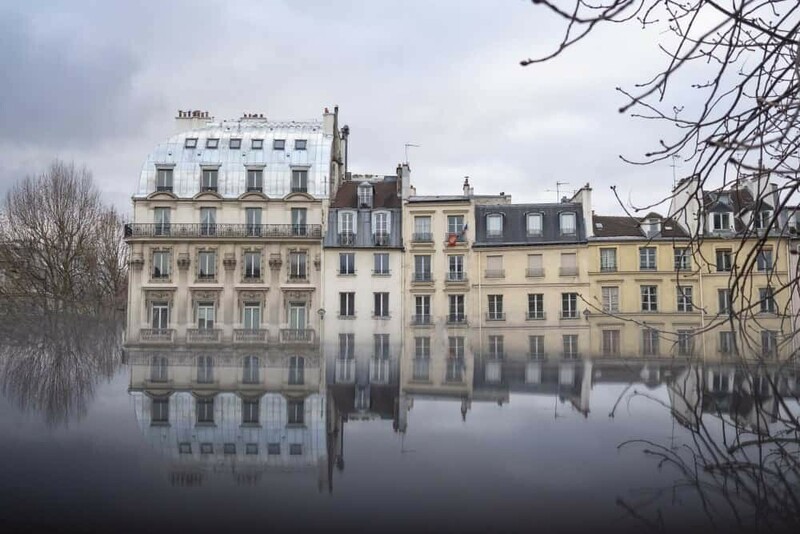 There’s the bustling Noailles district which is known for its cramped alleys filled to the brim with produce from around the world including food, fabrics and products from North Africa and the Middle East. It’s not your typical Provincial market making it a great place to photograph for something a little different. Around the port itself the views turn to maritime marvels. There’s wooden sailing boats, colourful facades reflecting in the sea and at the end of the port is Fort Saint-Jean. 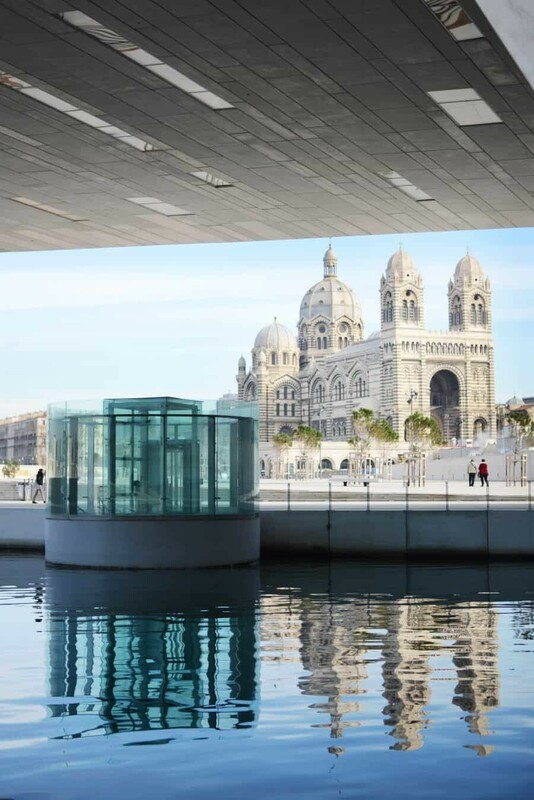 Take a walk around the fort before heading over to the fancy new Mucem and Cathedrale de Major , both hugely impressive architectural sights. And lastly, up on the hill you’ll find the Basilique Notre Dame de la Garde. Perched watching over the sailing boats and the sea, inside the church is dedicated to the cities nautical history. Little sailing boats hang from the ceiling and there’s stories and pictures of sailors and their ships from centuries past. There’s also incredible views from the surrounding viewing platforms so it’s well worth to wander up the stairs and check out Marseille from above. The entire city lies beneath and offers a canvas where you can zoom into rooftops, out to sea or capture the whole city in all of it’s glory. To read more about my time in France, take a peek at my France Travel Archives. 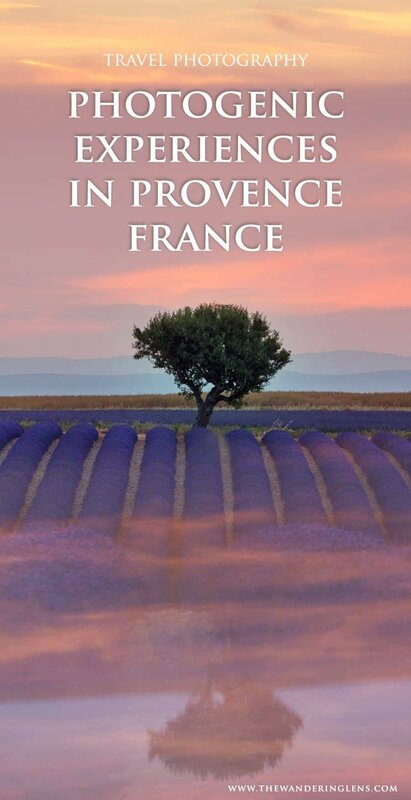 Have you been to Provence and have somewhere photogenic to add to this list? 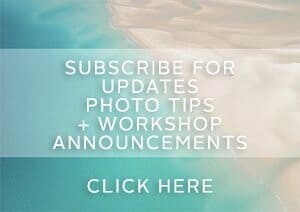 I love the images on your site. 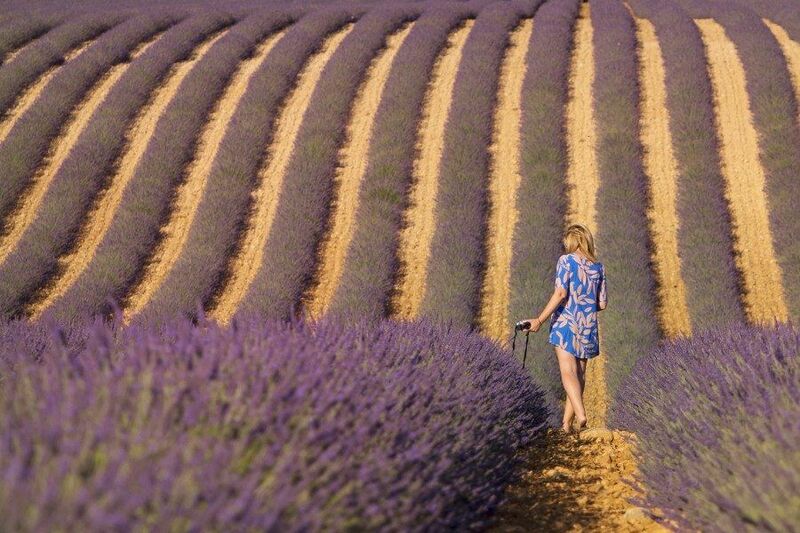 Your photos of the lavender fields make me want to head to southern France right away. Hi Lisa! 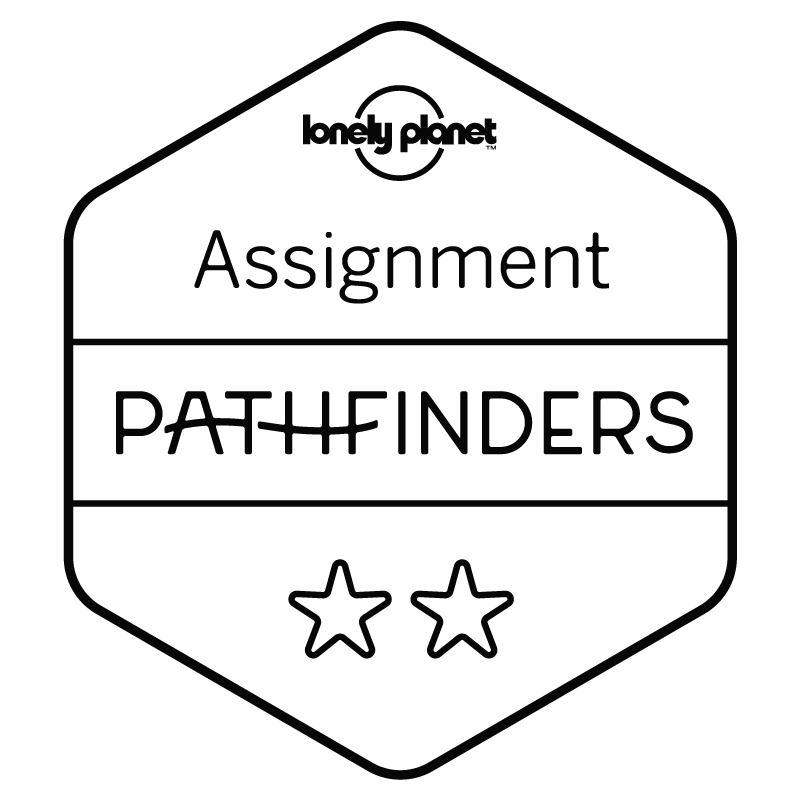 I’m going to be in Provence June 25-28 and your site has been incredibly helpful in terms of planning routes. I love the photos you’ve posted, they make me wish I could fast-forward to this summer! I was wondering what dates you were in Provence. I’d like to make a trip out to Valensole, and am worried June 27 may be too early in the season for bloomed lavender. Any insight is appreciated, thank you! Wonderful photos!! The lavender fields are absolutely outstanding; so ethereal. Hello Ms. Burns, I will be on a Viking cruise that will be stopping in Avignon on July 2 of this year. Viking will probably be scheduling a tour, they say 9 hours, but includes a lot of stuff other that photography. I would like to cram as much photography as I can into those hours I have available. Can you help me or recommend someone to be my guide? I must say that your photography is very impressive and beautiful. I would love to have your eye! Oh how exciting to hear you’ll be doing a Viking Cruise, they’re amazing and so relaxing! Great idea to head off on your own to cram as much photography as possible. If I was there I would offer to be your guide but I’m unavailable that date sorry. 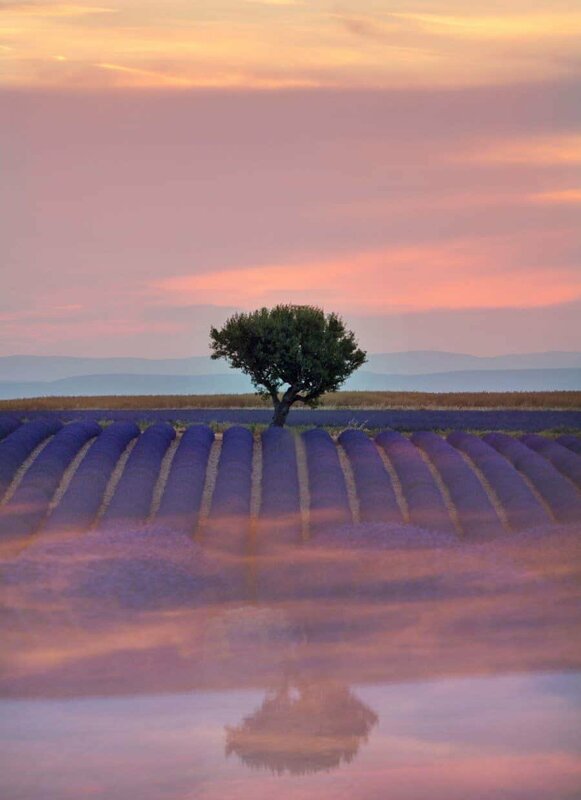 If you’re able to drive, I’d recommend hiring a car and visiting Fontaine de Vaucluse, Roussillon, Bonnieux and if time permits some of the lavender fields either in the Luberon or driving across to the Valensole Plateau, it’ll be the perfect time to photograph them in bloom. Allow some time to also see Avignon, especially around the Palais des Papes. Have a wonderful trip! Also if using Google maps to estimate driving time, add a few minutes to the journey as there can be a lot of cyclists on narrow roads slowing things down.